Christ the King is a growing mission-focused congregation. In addition to persons who have been a part of this congregation from the start, many of the people you meet here have recently become affiliated with us, Several of our families include members of other churches or religious traditions. We are people who value diversity, inclusiveness, hospitality, service, witness, nurture and ministry in daily life. Christ the King is a welcoming community of persons of all ages and background, with joys and sorrows, gifts and flaws, loved of God. Rejoicing in God's Grace, sustained by God's Word, and inspired by God's Spirit, we care for others, work for justice, pray for peace, and share the Gospel of Christ, as we journey through life as best we can. To build a loving community that shares the unconditional love of Jesus with the world. Pastor Dale Selover was baptized in her home church of Emanuel Lutheran in New Brunswick, New Jersey and grew up in North Brunswick. She graduated from North Brunswick Township High School. She is married to the Reverend Peter Froehlke, pastor of Prince of Peace Lutheran Church in Princeton Junction, New Jersey. They are the proud parents of two teen-agers: Sara Grace and Hannah Ruth. Pastor Selover graduated from Gettysburg College and the Lutheran Theological Seminary at Gettysburg. Her first call was to Abiding Peace Lutheran Church in Budd Lake, New Jersey, where she served for nine years. Pastor Selover served for ten years as Discipleship Pastor of Zion Lutheran Church in Oldwick, New Jersey. In 2014 Pastor Selover celebrated the twenty-fifth anniversary of her ordination. She currently serves as a Spiritual Director in the New Jersey Synod and at Princeton Theological Seminary. For the past sixteen years she has served as a retreat leader for congregational women’s groups, councils, families, and Christian Education teams. She is currently a member of the Program Committee and a retreat leader for Cross Roads Camp and Retreat Center, an ecumenical ministry of the New Jersey Synod and the Episcopal Diocese of Newark, New Jersey. Pastor Selover also serves on the Program Committee and as Vice-Chairperson of the Board of Directors for Oasis Ministries for Spiritual Development in Camp Hill, Pennsylvania. After four wonderful years, Pastor Dale is following the calling of God to become the director of the House Next Door in West Windsor. We wish her Godspeed on her new journey with love and gratitude. 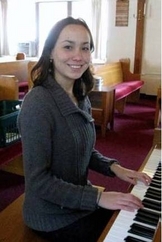 Sierra Oh began serving as our Parish Musician in September 2010. She plays the organ and the piano for all worship services and directs our choir. She is a graduate of Westmister Choir College with a major in Sacred Music. Sierra became a member of our congregation on Reformation Sunday 2010.
but may return after leaving council for two years. The Council has four offices, President, Vice President, Secretary and Treasurer. Each is a voting member of the congregation and elected for a two year term. The President prepares the agenda for meetings of the Council and Congregation, and presides as chairperson at these meetings. Donald Corwin currents serves as our Council President. The Vice President serves in the stead of the President when that person is unable to fulfill his or her duties. Beth Mitchell currently serves as out Council Vice President. The Secretary attends all Council and Congregational meetings and takes minutes, making them available to the Council and the Congregation. 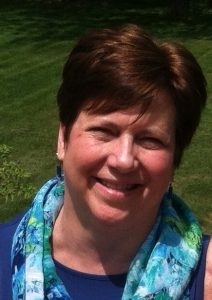 Debbie Gist currently serves as our Secretary. The Treasurer is also a member of the Finance Team, makes reports monthly to Council and annually to the Congregation pays bills as authorized by Council and keeps the financial records of the congregation in good order. Bob Peterson currently serves as our Treasurer.. The people of Christ the King first began meeting for worship on September 18, 1960. Services were held at Phillips School, located on Route 27, just north of Henderson Road. The Congregation was officially organized on March 10, 1961. Since its organization, Christ the King has been faithfully served by nine pastors: the Rev. Dwight A. Huseman, the Rev. Ralph Spears, the Rev. Elizabeth Waid, the Rev. Terry Wimmer, the Rev. Fred Schott, Interim Pastor, the Rev. Sara Olson-Smith, Vice-Pastor the Rev. Walter Wagner, the Rev. Dr. Kimberly T. Carlson and the Rev. Dale Selover. The Congregation purchased the current property and built a new church building which was dedicated on April 19, 1964. The building housed the growing Congregation for over 40 years. By 2005 we were in need of additional space. After much planning, engineering, permitting and our Growing with Love, Joy and Vision campaign, in 2008 we broke ground for a major addition. We completed and dedicated a major addition to our church building in on February 22, 2009. The new addition added our large fellowship space, a kitchen, a meeting room, a sacristy, Pastor's office and made the building more accessible. The house next to the church building was purchased from the National Bank of New Jersey and moved from New Road to its present location in 1970. This facility served as the residence of the congregation's pastor until 1991. It was then used for our children's education programs and as a home to clergy members of ministries with a connection to Christ the King. It is presently a rental property. 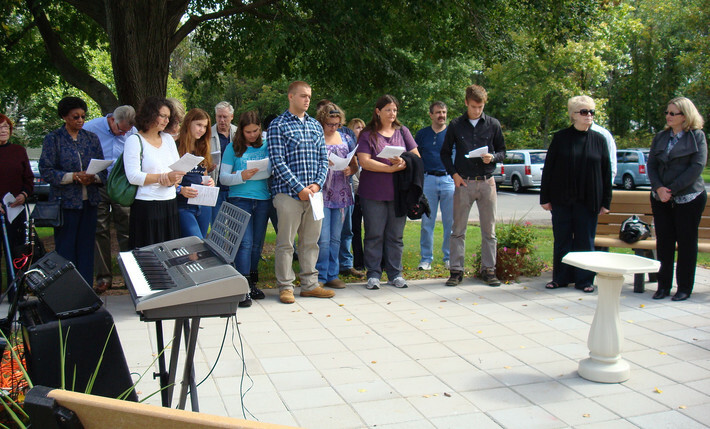 Our mediation garden was built by member, Christopher Molnar as his Eagle Scout project and was dedicated September 17, 2011. We recently have lost several beautiful trees that had been planted over the years by the congregation. If you stop by, you will notice that things look a bit different today. Generous gifts have allowed us to plant new trees which we plan to nurture and grow.